Trees and walkways going in now. Makes the stroll up the hill to the library look very pleasant. 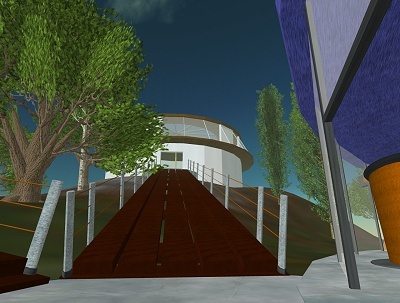 The idea is to make an environment that is easy to get around for people new to SL, but also natural and enjoyable to walk through – heightening the sense of being there.